The perfect wedding venue for you could be a hidden gem stowed away behind the rolling countryside or an exclusive property within a city location. Clearwell Castle is the perfect property for exclusive hire. Providing luxury accommodation within the property, you can now celebrate your wedding day both in the days before and after the ceremony and can cater for up to 250 guests for the evening. An exclusive use venue can provide all the personal touches that you have dreamed of. 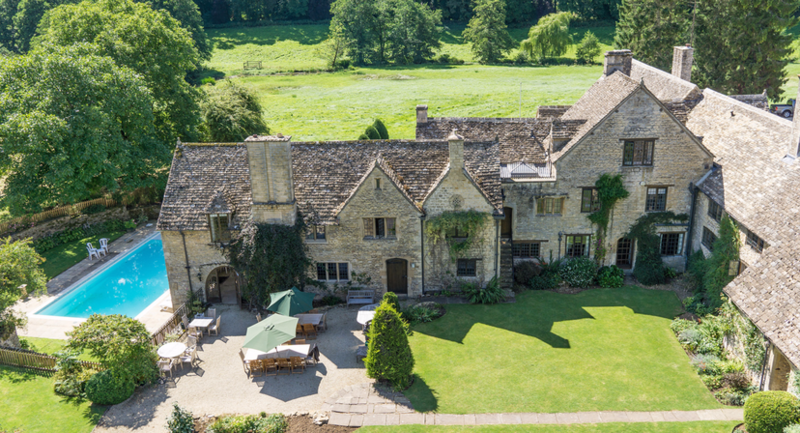 Ernsettle Manor House can accommodate 16 people overnight with outdoor spaces and gardens providing an area for 100+ people within a marquee if required. The use of private houses for wedding receptions has become more and more popular for families looking for a more intimate celebration. We have a number of properties that offer dry hire and self-catered packages giving you complete control over the personal touches you desire all within a stunning location. Many properties offer on an exclusive-use basis for both the day and evening and are also licensed for civil ceremonies. Warwick House offers a stunning Bridal Suite, with its luxurious dressing and en-suite facilities including a jacuzzi bath. The open spaces provide a perfect private space for the wedding ceremony and cater for up to 200 guest for the wedding celebration during the evening. Parklands, Quendon Hall adopt a “make this your home policy” during your stay, giving you exclusive run of the property and its luxury 22 guest rooms whilst catering for 650 evening guests. The possibilities are endless when you hire an exclusive property and Choose your Wedding can provide you with the search tools in finding that perfect venue within the best location.